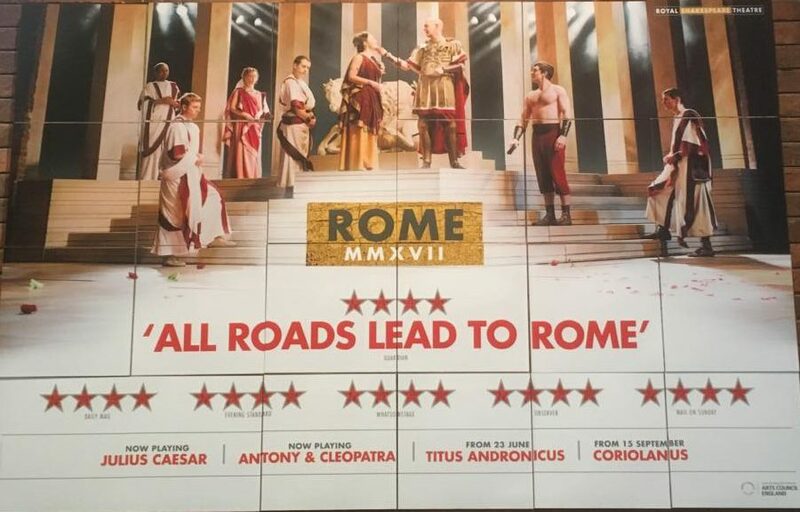 Last night it was the very first preview of Julius Caesar at the Royal Shakespeare Theatre in Stratford Upon Avon. The members of staff in the theatre were wearing stickers. They were either Team Brustus or Team Caesar. 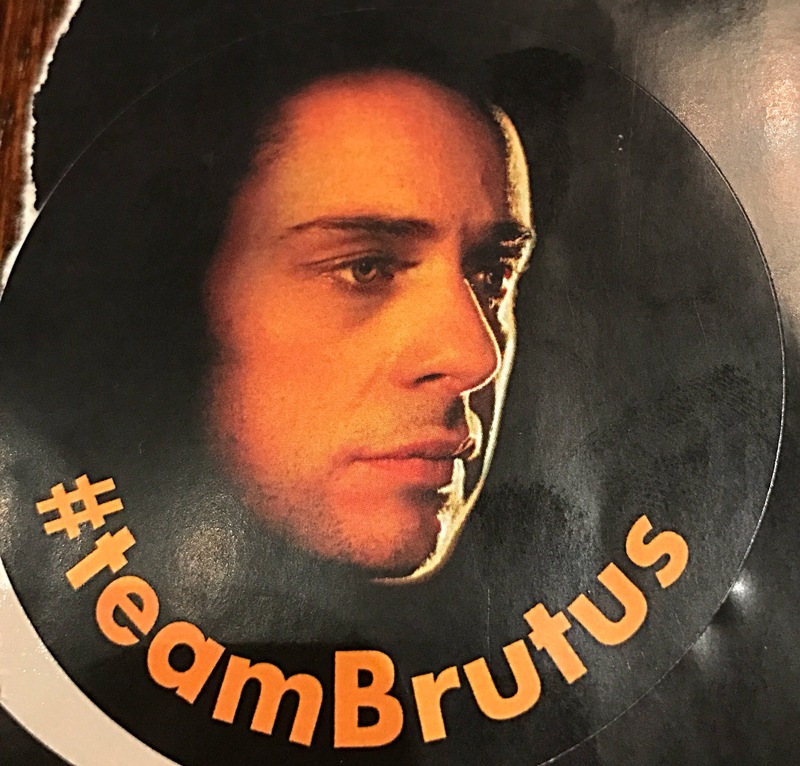 Here at AWN we are clearly Team Brutus. It was an exciting first preview, and everything seemed to go well. Alex was sensational and really captured Brutus’ journey from stoic Roman to emotional warrior.